When the Hero Group terminated its 26-year-old joint venture, Hero Honda, with the Japanese auto major Honda Motor Corporation (HMC) in December last year, the decision did not spring a major surprise. 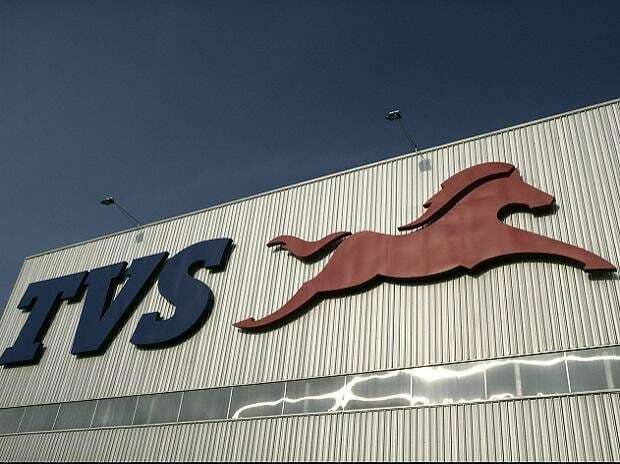 Reports of friction between the JV partners had been doing the rounds since HMC decided to enter the Indian market through its wholly-owned subsidiary Honda Motorcycle & Scooter India (HMSI) in 1999. Post the split, the two companies are free to follow their desired growth path. So while the Hero Group is working out a new brand strategy, HMSI is preparing to step on the gas and corner a larger share in what is ranked as the second largest two-wheeler market in the world. There are compelling historical reasons for its earlier lack of enthusiasm for the motorcycle segment. Its joint venture agreement with Hero Honda precluded it from entering the motorcycle market for the first five years with the result that HMSI now accounts for just about 6 per cent of the parent company’s two-wheeler revenues globally. 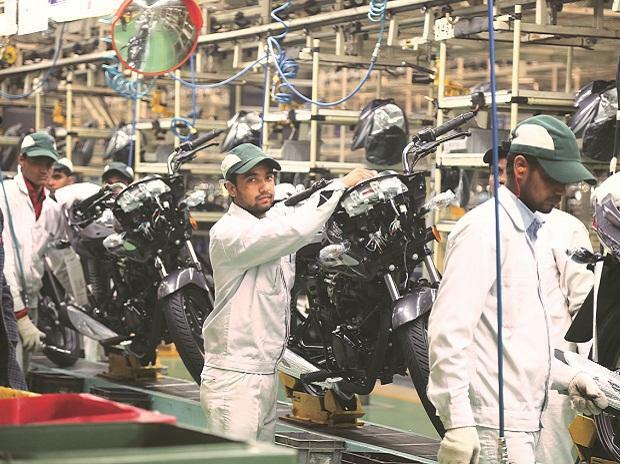 As things stand, HMSI is the fourth largest two-wheeler manufacturer in India today with a market share of around 14 per cent after Hero Honda, Bajaj Auto and TVS Motors, with the top two — Hero Honda and Bajaj Auto — together accounting for over 70 per cent of the market. At present, the company has three scooter brands — the Activa, Dio and Aviator priced between Rs 39,820 and Rs 50,020. 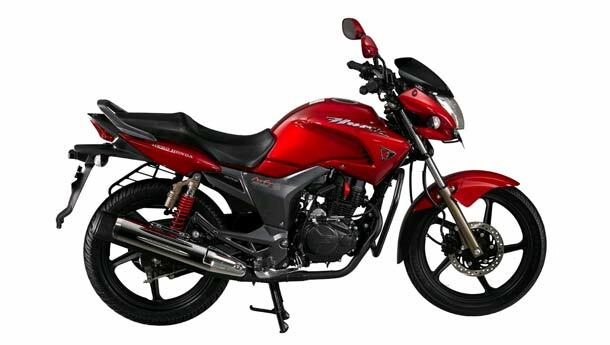 Its motorcycle portfolio includes the CB Twister (Honda’s sole offering in the best-selling 110 cc segment), the CB Shine, the CB Stunner and the CB Stunner PGM-Fi in the 125 cc segment and the CB Unicorn and CB Dazzler in the 150 cc category. The challenge is not just about securing a stronger foothold in motorcycles — it’s also about getting the product mix right. The problem is simple: the low-frills commuter segment (100-150 cc displacement) constitutes the bulk of the motorcycle sales in the country — this is the segment which has made Hero Honda the world’s largest-selling motorcycle company — and HMSI did not have any product in the segment till last April when it launched the 110 cc CB Twister. The HMSI management is unruffled. 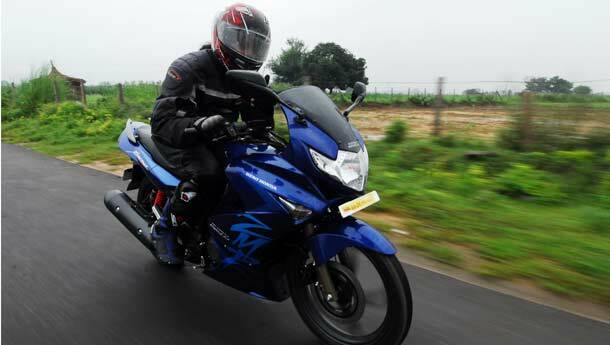 “We are the fastest-growing two-wheeler company in India,” says Aoyama. “We expect to sell 1.6 million units this fiscal, within 10 years of starting our operations in India. It took Hero Honda 18 years to touch that milestone.” In January this year, the company acquired seven million customers, with the last million achieved in a record time of seven months. Last fiscal HMSI sold 1.27 million units, which is an increase of over 18 per cent as compared to the 1.07 million units sold during 2008-09. Hero Honda, in the meantime, grew by 23.6 per cent last fiscal to sell 4.6 million units — the volume registered by it was nearly four times that of HMSI. Aoyama concedes it is crucial to introduce mass market products to drive up volumes in the Indian market. The Twister has been HMSI’s workhorse in the commuter segment and has clocked an average of 14,000 units every month since launch. Going ahead, HMSI is looking at launching “inexpensive models” in the 100+ cc and 150 cc segments to grab a bigger share of the market. But the core products, Aoyama talks of, would take a couple of years to hit Indian roads. “We have huge backlogs because of constraints in supply,” admits Aoyama. “Even the 1.6 million units we expect to sell this year do not reflect the actual demand for our products in the market. Our dealers are not being able to cash in on many potential sales. As per our dealers’ projections, we could have sold another 1 million units if we were able to meet the demand in the market,” says Aoyama. Company executives believe HMSI’s Activa scooter alone has the potential to sell around a million units annually compared to the current 0.70 million units if production constraints can be overcome. Similarly, volumes can double for the CB Shine (125 cc) and the CB Unicorn (150 cc), which are finding increasing appeal among consumers. To take care of this issue, the company has invested Rs 500 crore to set up a second facility at Tapukara in Rajasthan. When the plant becomes operational in September-October 2011, the combined capacity at the two manufacturing units — the other being at Manesar (Haryana) — would increase by around 37 per cent to 2.2 million units per annum. HMSI’s Manesar facility has the capacity to roll out 1.6 million units on an annual basis. The additional capacity, the company admits, would not be sufficient to fully bridge the gap between demand and supply. HMSI products, at present, have a waiting period ranging from six weeks to six months. The company takes, for instance, around seven months to deliver a Honda Activa in south India. HMSI is considering a third facility, likely to be set up in the southern or the western part of the country, to speed up delivery of products. 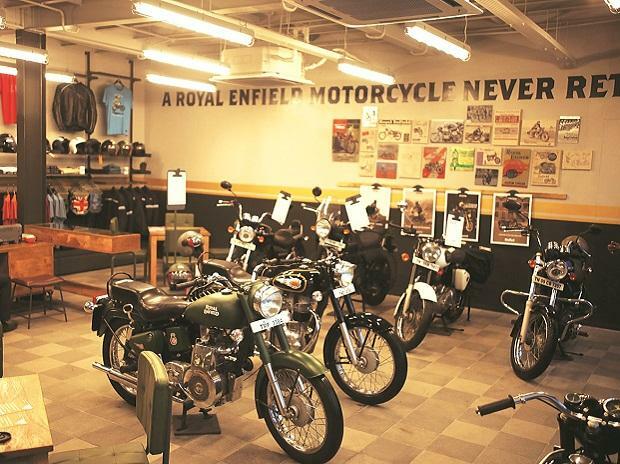 Aoyama points out, “Tamil Nadu, Andhra Pradesh, Kerala and Karnataka account for 30 per cent of the overall demand for two-wheelers in India. Together, south and west India represent half of our business. It does not make any sense for us to limit our presence to north India when the business is spreading across the country. It is a natural decision to move south to ensure speedy delivery.” The demand-supply mismatch is expected to be leveled over the next two years. Also to be addressed appropriately are issues related to strained industrial relations which have plagued HMSI. Soon after the announcement of the split with the Hero Group, production came to a halt at the Manesar factory on December 17 last year when workers protested an alleged assault on a casual worker by a security staff. In 2009, HMSI had suffered losses of over Rs 300 crore after workers went on a go-slow strike that had resulted in production dipping by over 50 per cent for nearly three months. The biggest crisis was witnessed in 2005 when a violent strike by workers had rocked the Gurgaon-Manesar belt. “Labour problems is an open issue at HMSI and in the company’s own interest, the matter has to be set right as soon as possible,” adds an industry expert. Above all, experts say, HMSI needs to work on re-establishing the uniqueness of the Honda brand in the country so that consumer loyalty to HMSI does not get transferred to Hero Honda. HMSI knows it has its task cut out and has started addressing all these issues. “Earlier Honda was divided on what to offer Hero Honda and what to keep in its portfolio,” says Rattan. “The horizon will open up now; some core products will be developed for India. When CB Shine was introduced there was no 125 cc market. 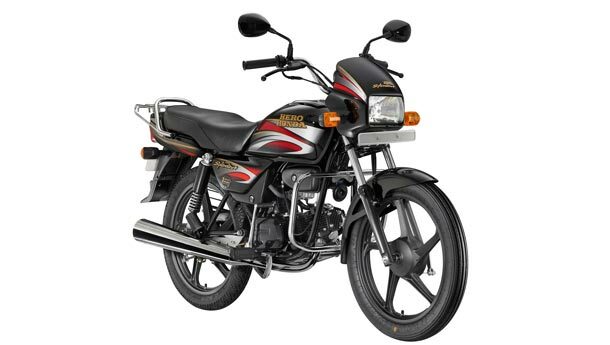 Over the years Shine has become a self-styled core product.” More offerings would eventually come up in the 110 cc and 150 cc segment both of which are showing healthy growth numbers. For India, HMSI will bring in products that will help expand its respective categories, says Rattan. The Honda CB Stunner, for instance, was the first affordable sports bike aimed at the country’s youth and it opened up a new category all by itself. People in semi-urban and rural areas today, says Rattan, are aspiring for products originally targeted at youngsters in urban markets. 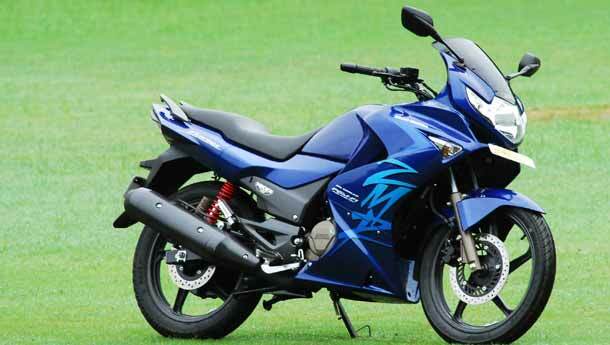 HMSI has also firmed up plans to launch the 250cc CBR250R in April this year. Following this, two/three models, including possible upgrades, will be introduced every year in the country. Also on the cards is an automatic scooter which would be introduced in 2011-12. Last year, the company sold 7.5 lakh scooters and 5.2 lakh motorcycles, which it hopes would increase to 8.6 lakh units and 7.4 lakh units respectively this fiscal in tandem with category growth. According to data available from SIAM, 1.9 million scooters have been sold in the country in the first 11 months of the current fiscal which is an increase of 46.58 per cent as compared to the corresponding period last year. Motorcycle sales in the period have risen by 23.57 per cent to 7.4 million units. The goal is clear for Aoyama. “Honda is the number one two-wheeler brand worldwide and we want to be the number one player in India as well,” he says.